Do you have a waffle iron? How often do you use it? Only for waffles? Did you know that the waffle maker can be used for weeknight dinner recipes? 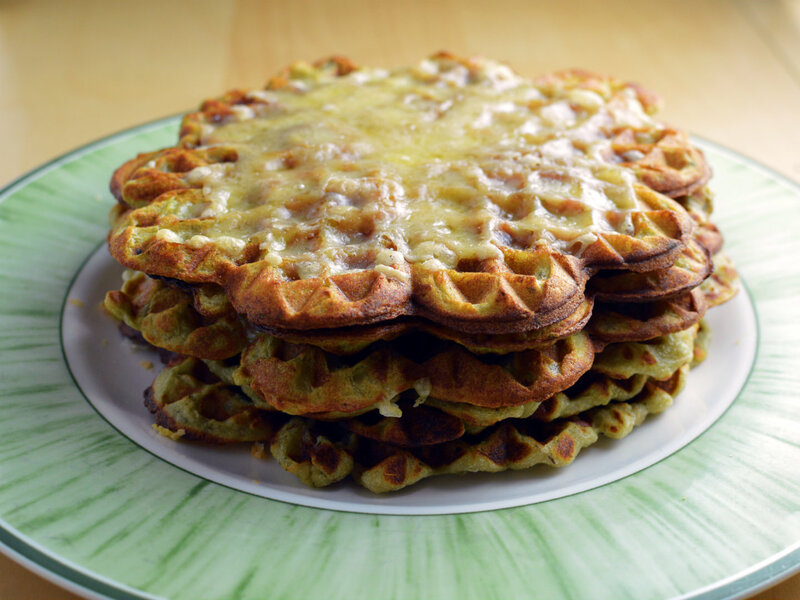 This recipe for mashed potato and avocado waffles is a delicious example! Mash the avocado with the potatoes and melted butter. Whisk together milk and eggs and combine with the potato and avocado mix. Take another bowl and combine the dry ingrediens before mixing it with the wet mixture. Add the bacon bits. Heat up the waffle iron and start making waffles! Place ready waffles on a baking sheet.